When you use our concierge service, you get the full VIP treatment — a custom buying or selling experience tailored to your taste and lifestyle and a complete, end-to-end service that is centered on your satisfaction. Our mission is to build a lifelong relationship with each of our clients. We are a one-stop shop for all your home and real-estate related needs. You can always count on us whenever you have any issues, from title insurance to home repairs and upgrades. With a click of a button, we’ll get you the best service providers with the best pricing to attend to your needs. We want our buyers to focus on choosing their perfect home, so we go the extra mile and handle everything else. We don’t just schedule property showings and make recommendations, we offer a full pre-to-post sale service. You can count on us to resolve all your concerns with regard to homeownership, from getting preapproved to caring for your home when you’re fully moved in. With us, you get a lifetime coach for all your real estate concerns. We are committed to helping you get the best price for your property. 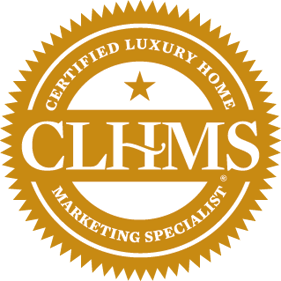 We do this by helping you conduct a competitive market analysis for your property and providing you with customized marketing solutions that will paint your property in the best light. RE/MAX agents are the industry's top professionals, backed by the most respected name in real estate. RE/MAX luxury specialists have access to world-class tools and education, such as the Certified Luxury Home Marketing Specialist designation, as well as targeted publications, such as the nationally distributed RE/MAX Collection Magazine and luxury-home magazines such as Unique Homes, duPont Registry and The Wall Street Journal.